Gorgeous vessel sink sets on granite countertop with venetian bronze finish Brizo faucet in this Cornelius bathroom renovation by Henderson Building Group. 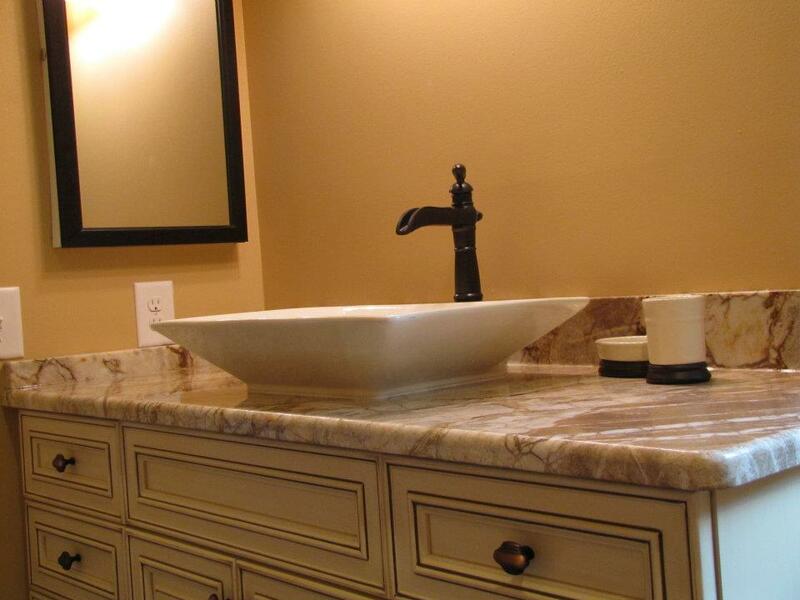 Interested in remodeling your bathroom? Contact Henderson Building Group at 704-201-1429 or send us an email.